Facing more than $100 million in cuts over the next two years, the LBUSD board will place a parcel tax on the November ballot in an attempt to raise funds. 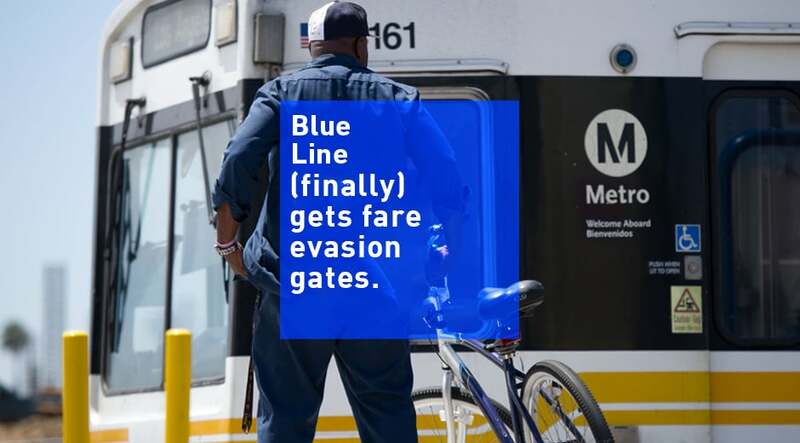 As Metro’s Blue Line sits in the middle of its six-year long, $1.2B rehab, Long Beach Mayor Robert Garcia announced that fare-evasion gates will be installed at all four DTLB Blue Line Stations under a year-long pilot project. The much-needed move comes years after continual complaints about safety, cleanliness, fare evasion, and the unveiling last year that Long Beach’s Wardlow was ranked the worst in the county and one of the worst in the state. An analysis of the state’s rail transit systems, conducted by way of a partnership between nonprofit Next 10 and UC Berkeley and dubbed Grading California’s Rail Transit Station Areas, not only decided to look at what hubs are thriving but which station areas need improvement. An analysis of the state’s rail transit systems, conducted by way of a partnership between nonprofit Next 10 and UC Berkeley and dubbed Grading California’s Rail Transit Station Areas, not only decided to look at what hubs are thriving but which station areas need improvement. What, exactly, makes a good station versus a bad station? Transit stations that perform well tend to be located in urban centers—a key distinction with the Wardlow station as compared to stations that received A grades like DTLA’s 7th St./Metro station— and transit-oriented neighborhoods—North Long Beach’s disconnection in general to biking and walking infrastructure screams volumes, especially when attached to access to housing, shopping/entertainment, places of work and other amenities. “Most low-performing stations are on the outer edges of rail systems, often situated in low-density, industrial or auto-oriented neighborhoods,” said Next 10 founder F. Noel Perry in a statement. What this points to is not just a need to reexamine the connectivity of North Long Beach—in the words of 8th District Councilmember Al Austin to Longbeachize, “This is yet another reason why Long Beach needs a voice at the MTA Board table”—but the Blue Line as a whole. It seems that has happened with Garcia’s announcement. This article originally appeared on the DLBA’s website.